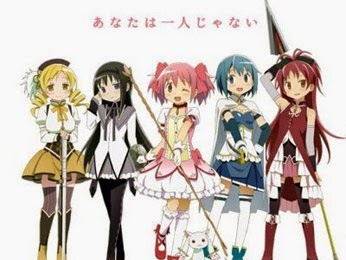 Before you say it, yes, I'm aware Puella Magi Madoka Magica (or PMMM for short, which sounds like a noise of satisfaction you'd make with a pinched nose) - the deconstruction of the Magical Girl anime genre that would spawn classics like Sailor Moon - started life as a 12-episode anime series followed by a successful series of manga adaptations. I'm also aware that the two discs that form this compilation movie are basically a retread of the series with some of the fatty bits trimmed off, much like what Evangelion did with Death and Rebirth back in the day. I am therefore aware that praises and criticisms I might level come with an asterisk floating beside them, as this is essentially like saying something about a trailer that judges the entire finished product (topical!). But I'm also firmly of the opinion that a movie - that is, a cinematic experience of visuals and sound intended to convey a story - needs to stand as its own thing, whether it's a recap, sequel, prequel or fly-on-the-wall documentary about some guy who paints fences. So I came into the PMMM movie with that mindset, intent on judging it on its own merits no matter how great the longer anime might or might not be. loan on my kidney to pay to purchase the Blu-ray of the series. Hell, it's so good I now have the boxset - featuring a whole bunch of badass young ladies wearing technicolour battle armour - taking pride of place on my shelf beside Cowboy Bebop and my Attack on Titan collections. Hyperbole? Perhaps. 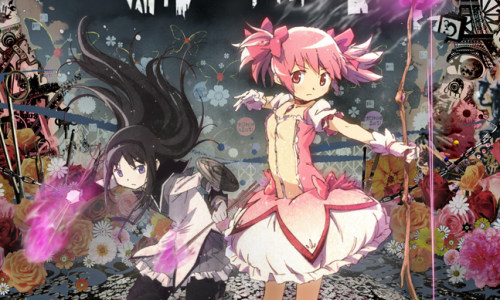 But I'm not exaggerating when I say the Puella Magi Madoka Magica movie is damn, damn good. The premise starts with sweet, unassuming and pink-haired middle school student Madoka Kaname finding an injured magical white weasel/ferret hybrid called Kyubei. After saving him from death, Kyubei offers Madoka the chance to become a Magical Girl, giving her a Sailor Moon-esque set of transformative powers to fight witches in exchange for any one wish she can make. 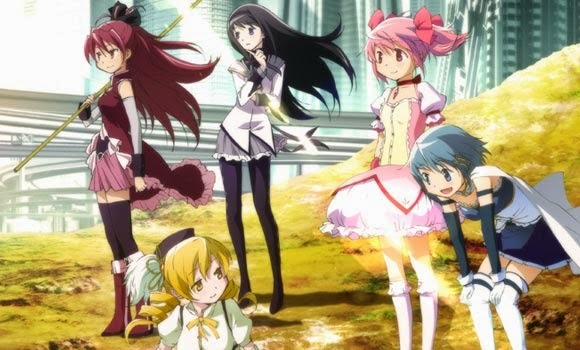 While she contemplates this decision, Madoka meets other Magical Girls - including the confident, impossibly-coiffed Mami and the quiet but deadly Homura - and discovers that getting these powers might lead to something much darker than that which she is tasked to fight. I don't want to say much more than that, despite the fact this recap movie comes three years after the anime proper, but rest assured that the twists are awesome. There were at least three big moments I gasped, leapt forward in my seat and yelled at the TV, words to the effect of "No way that just happened!" with more colourful vernacular attached. It's the kind of narrative where not knowing "It was his sled" is a benefit, so if you're able to snag this Blu-ray without visiting TvTropes or Wikipedia on the way, so much the better. say it's a distinct marriage of bright visuals, eclectic art style (especially with the witches), compelling story and a really strong English dub crew. At first it seems like we're in for a long, cutesy Sailor Moon clone - the opening credits alone are sweet enough to induce diabetes - and then about half an hour in things start happening that dispel the cute and fluffy facade. 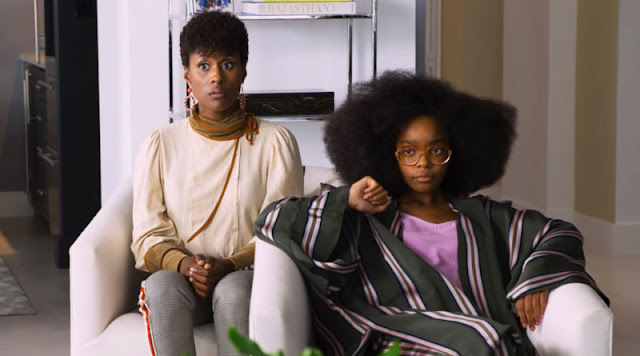 Trust me, it is worth slogging through the pink and pretty first half hour to get to the narrative gold afterwards. As great as I find the PMMM movies, there are a few drawbacks. Whether it's the English dub specifically or the story in general some dialogue parts can get overly bogged down in exposition, which does throw me out of the story a little during moments that are clearly meant to land with impact that would benefit from brevitous storytelling. I also reckon - again, acknowledging this as a recap film of a pre-existing anime - that the opening takes its time a bit too much getting to the main thrust of the plot. Character and world-building is all well and good, but most of what passes for that in the first half hour is mostly Madoka making little anime girl squeaks. Those are minor drawbacks, though, and the positives are to the negatives what a beer stein is to a teacup. 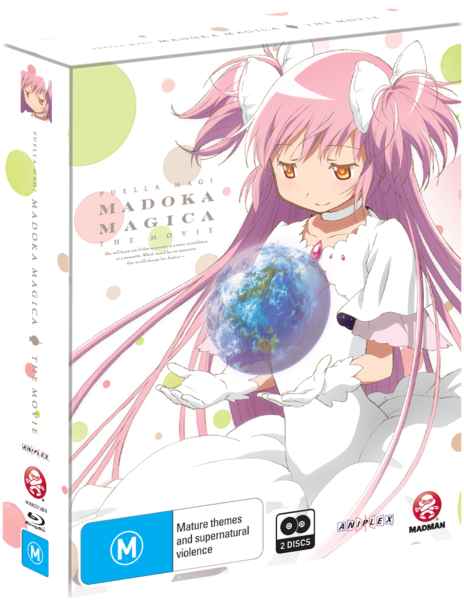 There's enough grand, operatic narrative peppered with introspective character moments and a really nice dark, gut-punchy undertone that the two Puella Magi Madoka Magica movies combined manage to stand tall as a fantastic anime film that eschews a lot of the auteur problems such deconstructive tales are usually plagued with. Most might probably tell you to watch the series itself before checking out the films (for I understand there's a third movie that acts as a sequel to the whole thing), but I'd go out on a limb and presume some of the narrative fat of the anime might've been trimmed with good reason for the movie. Of course, I'm gonna have to watch now to find out, so there goes another six hours of my weekend. Ignore the cutesy cover of the Blu-Ray, avoid the spoilers and just engage. 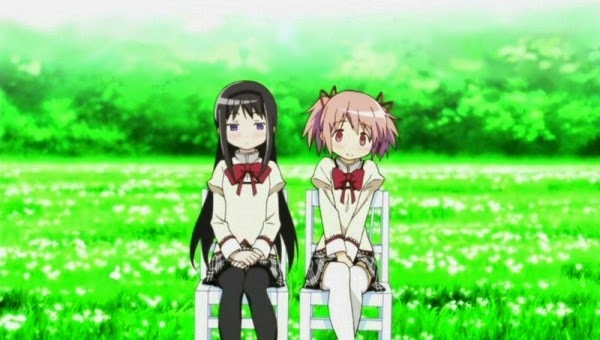 Puella Magi Madoka Magica is awesome. Plain and simple. Thanks for sharing your thoughts about timberland women's.